I’ve never been hunting, but if I did my weapon of choice would be a bow for sure. 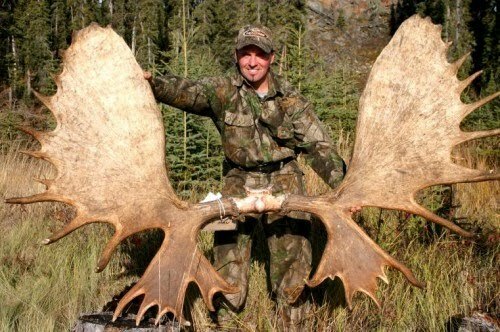 Real Langlois from Quebec is no stranger to bow hunting, and no strange to gigantic moose. Check out this incredible rack! That's crazy! I wish I was a bow-hunter. I primarily use a rifle, but I've been practicing my bow hunting for almost 2 years now, but I have only used targets. I don't want to use it on anything alive until I'm more confident that my shots will connect and get a clean kill. When I do go out hunting I usually use really powerful ammo to ensure every shot is a kill. Lately I've been using this Federal .223 55 Ammunition with Stripper Clips because it was cheap and it is seriously powerful.